Quench Your Thirst This Saturday! 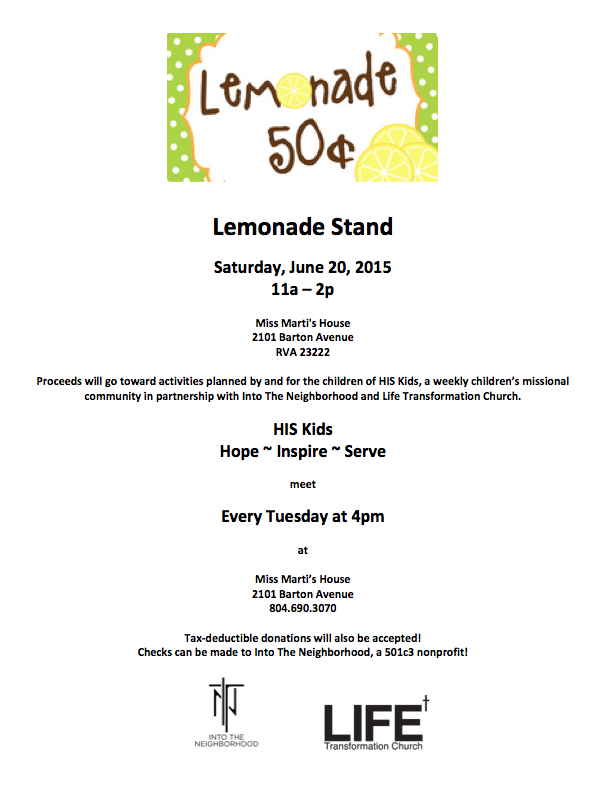 Posted: Friday, June 19, 2015 | Author: Marti (Michalec) Williams | Filed under: 2k15 | Tags: fundraising, lemonade stand, missional, RVA, Southern Barton Heights, youth |Comments Off on Quench Your Thirst This Saturday! HOPE – The hope of Jesus Christ. INSPIRE – Encourage and inspire the next generation. SERVE – Giving back to the community through serving- like assisting neighbors and picking up trash. These kids decided that they want to raise money for other activities throughout the summer The first thing they want to do is buy and cook dinner for our Tuesday Night Church gathering. Typically, we have a covered dish, but they want to make dinner and serve it their Spiritual Family. Please join us in supporting their servant’s heart by buying a cup (or 10 cups!!!) of lemonade on Saturday between 11a-2p. 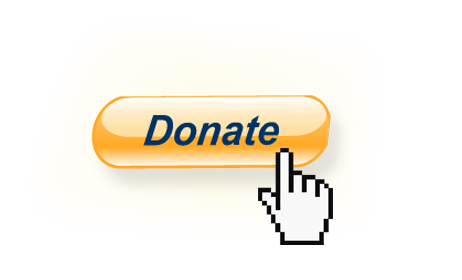 And you can also donate online on our link to the right!!! Do us a favor, please. Share this with your friends!